At We Fix Phones in Odessa and Midland, TX, our team of expert technicians is trained to repair broken smartphones, tablets and issues that face smartphone owners constantly. When you need a cell phone repair in Odessa and Midland, TX you can count on us to take care of it and charge you less for the work. It's not uncommon for our quotes to be a lot cheaper than the competition. 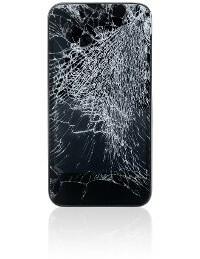 We meet or beat our competitor's price for all phone or iPhone repair in Midland ,TX. 1.If you are too busy, or because of any personal reasons cannot leave your home, office, or workplace, we have an awesome and convenient service available to you. Our highly trained technicians will come to you (all prices include $30 destination fee)! 2. Please call us to check the availability of service in your area. We promise you will be very pleased with the outcome. 3. Don’t worry if you’ve got a cracked screen, dead battery, camera issues, or any problem that smartphones face today, WE CAN HELP! When you call (432) 362-7391, please have the manufacturer and model of the device ready. We can reach you in approximately an hour. With smartphones being more vulnerable than their old cell phone counterparts, it’s only a matter of time until something on them breaks. Although they make our lives easier and put the world at the touch of a fingertip, a simple drop or scratch can result in a cracked screen or busted audio speaker. If you’re tired of spending more money each time your phone falls to replace it or worrying about your insurance rates on your phones going up, We Fix Phones can help reduce your cost. For many phones, problems that may occur from drops, breaks, water, or simple wear and tear can be fixed easily without paying for a brand-new phone or the expensive costs of repairs at the manufacturer. Finding a professional team to repair your smartphone isn’t always easy. There are a lot of people who claim to do the job, but it may result in an even worse situation. Only We Fix Phones can provide the service and care that you deserve when your phone is broken. The last thing you want to do when you’re without a phone is to be without it for longer than necessary. Our team works quickly and professionally to guarantee you’ll get expert repairs and your phone back in your hand quickly. For smartphone repairs in Odessa, we not only make sure your repairs are perfect, but they are also much more affordable than other places. We don’t charge an arm and a leg to keep you using your phone. If you’re worried about your phone insurance going up or having to pay a large deductible to your carrier for a broken phone, we are the way out. Repairing your phone not only gives you the freedom to choose when, where, and to what extent you repair, but it won’t result in a large bill. We don’t bill your insurance company or notify your carrier. 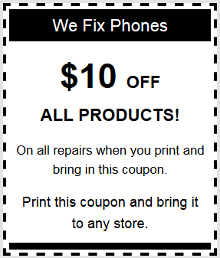 Bring your phone to us for expert cell phone screen repair in Odessa, TX. When a crack is cramping your style, we’ll get you back in business quickly. We Fix Phones is your ticket to affordable and reliable repairs without all the hassle and overhead. We Fix Phones is your source for cell phone repair work at a convenient location in Odessa, Texas (We are located right between HEB and ROSS, and right next door to Michael's on 42nd Street). No one in the field offers more detailed repairs, helpful insight, and honest prices than We Fix Phones. Beware of sending your expensive smartphone to a bunch of rookies that will just make the problem worse. Our team has more than a decade of experience competently handling smartphone repairs, so you know you're getting superior service. Contact our friendly staff to receive more information about our expertise on cell phone repair work.